The estate started to bottle in 1975, and from one hundred bottles a year, it now bottles over 4,000 cases. 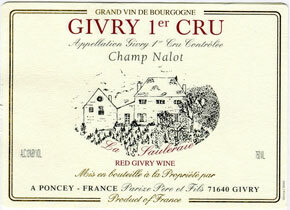 Awards and critical acclaim have followed the qualitative progression of the wine. The Parize family have been making wine in Burgundy for six generations. 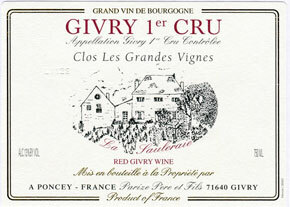 In 1946, the Givry appellation was instituted. Gerard Parize replanted a lot of parcels and his son Laurent has continued to do the same. The vineyard now covers 9 hectares. Both Chardonnay and Pinot Noir are planted, depending on aspect and soil. 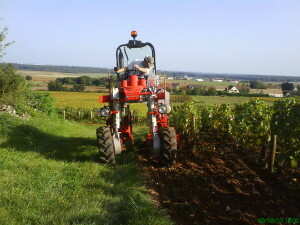 Seven hectares are planted to Pinot Noir, and two to Chardonnay. 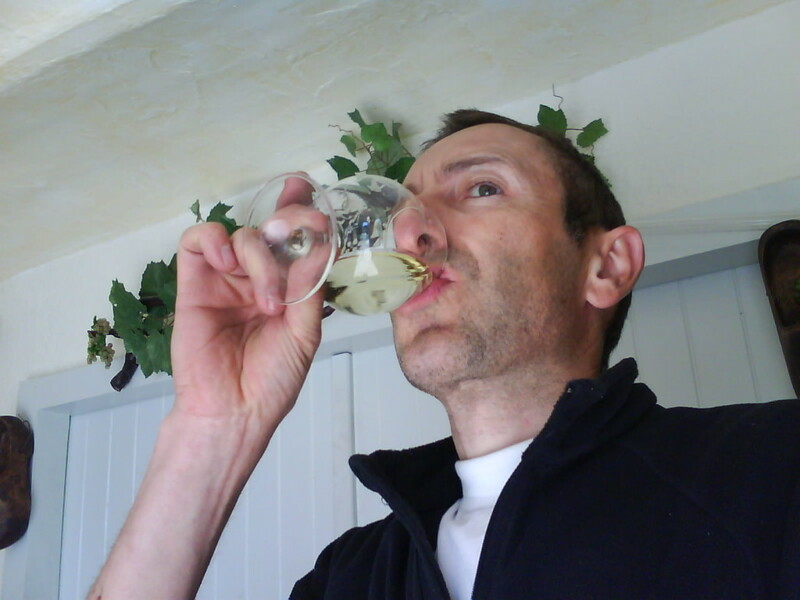 A little Bourgogne Aligoté is also grown. The oak aged wines can be kept up to twelve years, but the red Givry Vieilles Vignes and the white Champ Pourrot Givry drink better younger. The average age of the vines is now thirty years. Organic fertilizers have been used for some years, and organic practices are embraced. The vines’ yield is limited by extreme pruning, green harvesting. Harvesting is by hand, and the bunches are sorted before destemming. A cold soak is practiced if the vintage merits it. Long temperature-controlled fermentation is the norm. The cap is punched down, and the juice pumped-over 2-3 times a day for 12-15 days. The 1er crus and the Champ Nalot are put into 1 or 2 year old barrels. 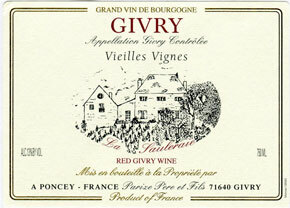 The Givry Vieilles Vignes is kept in stainless steel tanks. All complete primary and malolactic fermentation by spring. The 1er cru Chardonnays are fermented and aged in wood, the others in stainless. The latter have a very floral character. 40 years old grass grown between the rows, the estate practices organic viticulture. Harvest 100% hand harvested ; grapes are first sorted in the vineyards and then again in the winery. The hand harvested grapes are de-steemed and hand-sorted. It is after a cold maceration (10-12°C), that the red grapes will ferment for a dozen or so days under continual surveillance : We carefully observe the temperatures, and the alcohol and density of the grape must. After, there is pumping over and punching the cap... The alcoholic fermentation completed, the juice called “goutte” is put into tank. The berries are then gently crushed and then the juice (the juice from the press) is added to the “goutte.” This mixture, after 48 hours of rest will be settled andthen put back into tank. For the malolactic fermentation to occur the tank temperature is constantly maintained at 16-18°C until springtime. Dégustation: Intense, bright ruby color. At first sniff, notes of fresh fruit and cherries, morello cherries. After letting the wine air for a bit we have aromas of dark, black fruits; blackberry mixed with red fruitand we find again this sour cherry. Varietal: PINOT NOIR Soil Clay and Limestone 45 years grass growing in the vines the estate practices organic viticulture. The hand harvested grapes are sorted both in the vineyard and in the winery and then de-steemed. It is after a cold maceration (10-12°C), that the red grapes will ferment for a dozen or so days under continual surveillance : We carefully observe the temperatures, and the alcohol and density of the grape must. After, there is pumping over and punching the cap... The alcoholic fermentation completed, the juice called “goutte” is put into tank. The berries are then gently crushed and then the juice (the juice from the press) is added to the “goutte.” This mixture, after 48 hours of rest will be settled andthen put back into tank. For the malolactic fermentation to occur the tank temperature is constantly maintained at 16-18°C until springtime. The wine is racked and put in oak barrels for 9-12 months depending on the vintage.